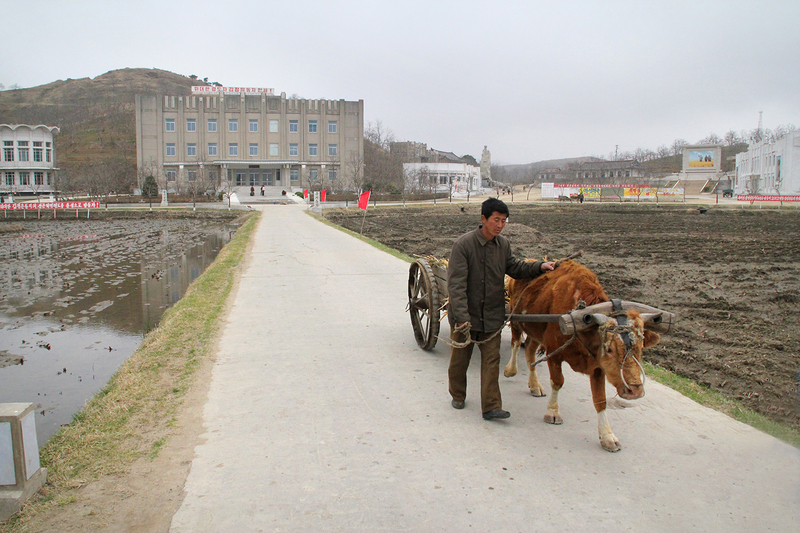 Travel and documentary photographer, Jeffrey Oftedahl, reports on his trip to North Korea. A mural depicting an impassioned worker and a typical Pyongyang apartment building, show the aesthetic of a North Korean city life. 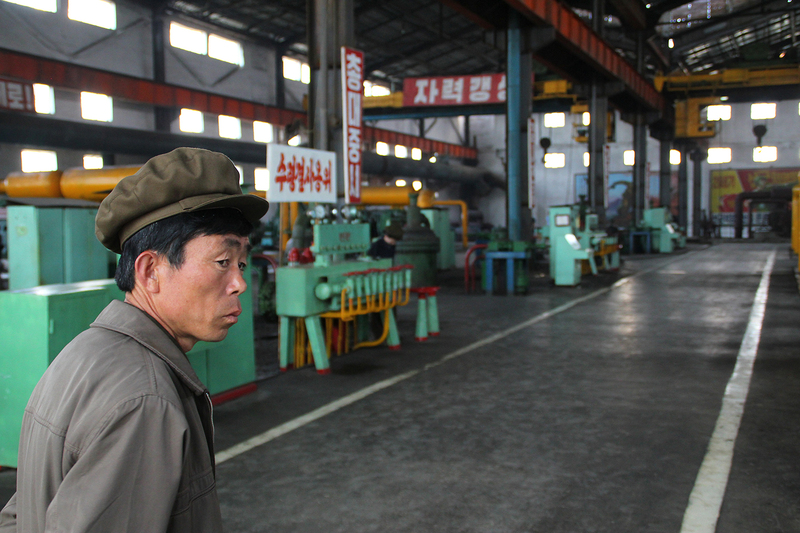 Factories in North Korea often run idle, but those that do function receive production quotas from the state. Here, a factory worker stands in a Hamhung fertilizer factory. 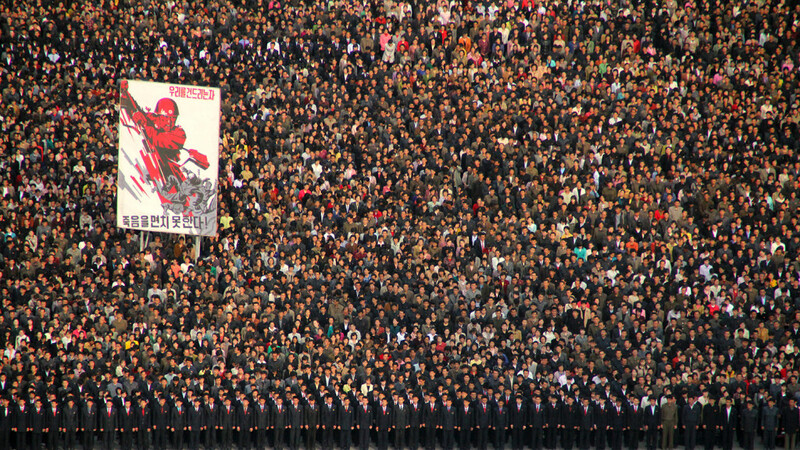 Large rallies are held in Pyongyang to promote solidarity and shows of loyalty. 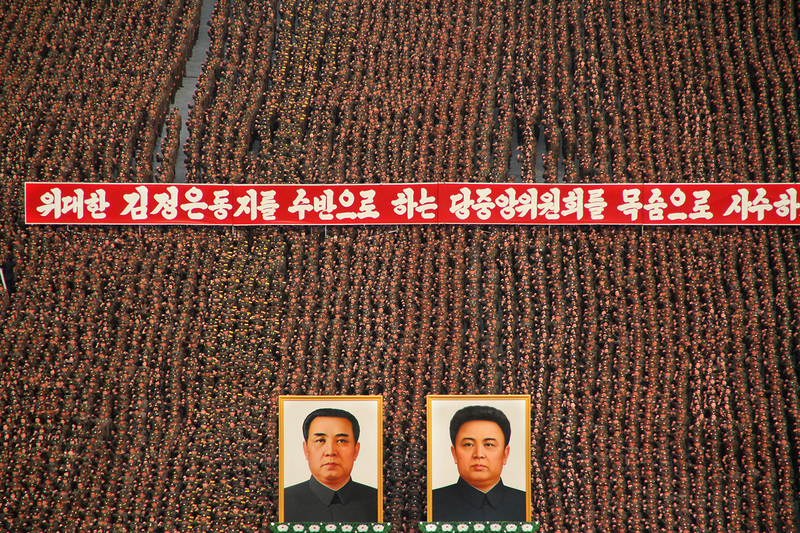 Here, thousands of soldiers and residents of Pyongyang gather to denounce actions by South Korea. Many farms in North Korea are cooperatives, with several families working together to meet government production quotas. 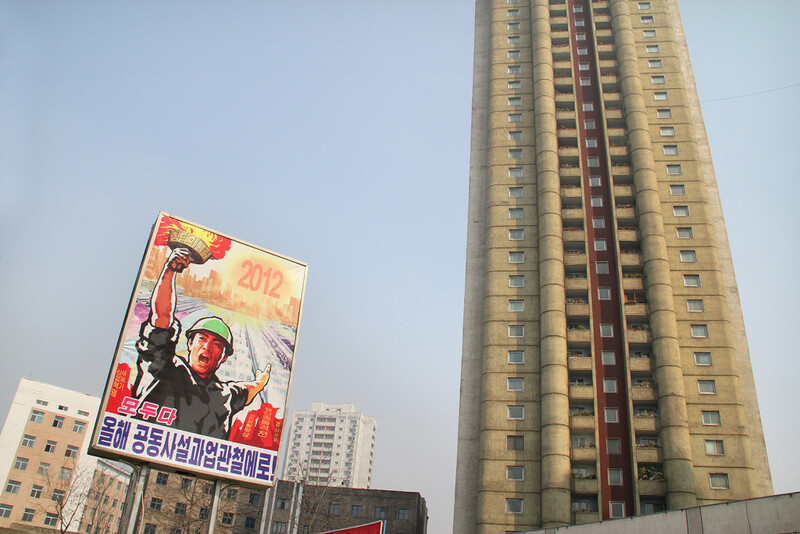 Murals depicting North Korea’s history and leadership are prominant in many cities and buildings. 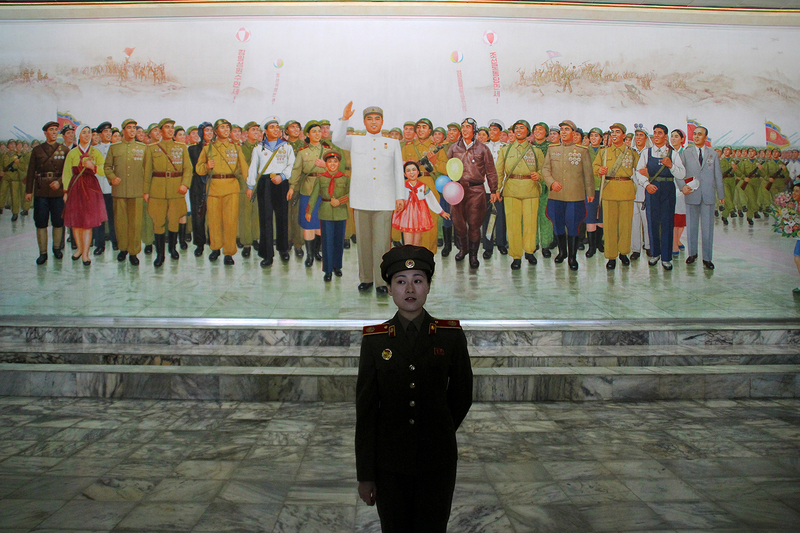 Here, a soldier stands in front of a large mural at the Korean War Museum in Pyongyang. 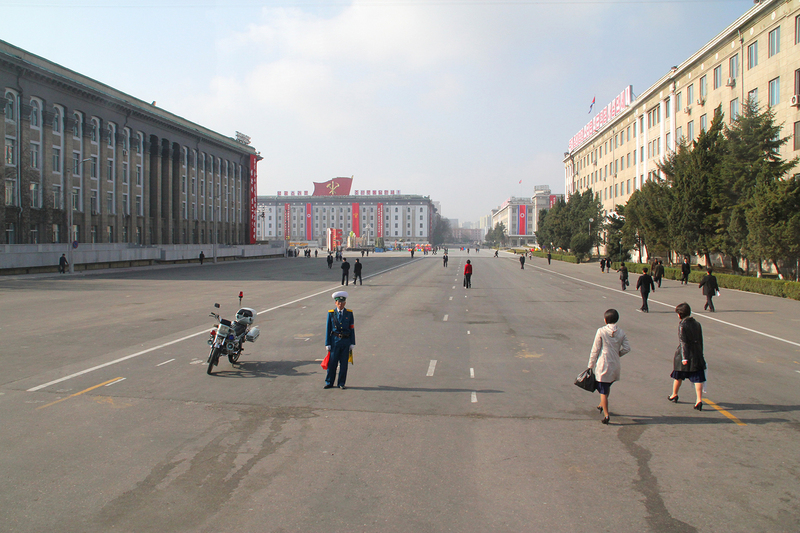 Pyongyang’s wide streets often have very few cars. While increasing in numbers, cars are still a luxury item only attainable to the elite. 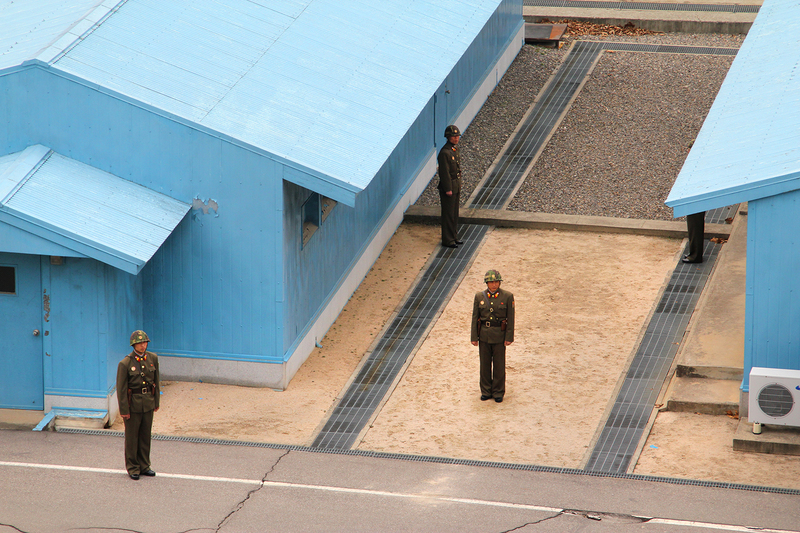 The Korean Demilitarized Zone (DMZ) separating North and South Korea is the most heavily militarized border in the world. Here, North Korean soldiers stand guard just inside North Korea. 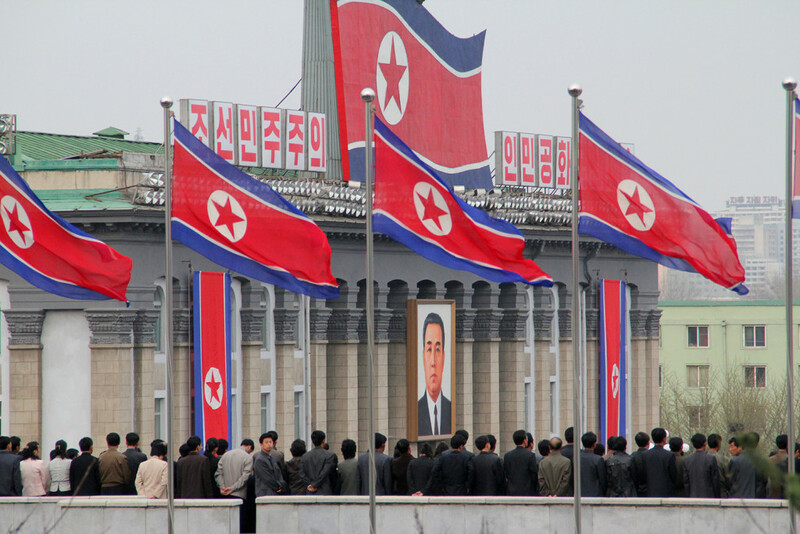 The portrait of found Kim Il Sung looms large as North Korea flags wave over the people.